Here you can find articles I’ve cached, that are no more available in the net or are very rare to be found. Where possible credit will be given to authors. Most of us overlook the importance of hooking good earth grounds to our antennas and our radios. Some think if lightning hits, its going to do what it wants to do. Probably right! Lightning protection is not why I am stressing the earth ground. Good earth grounds serve two purposes. One they protect against lightning (by routing current to the ground instead of our radios). Secondly, they discharge stray RF energy. There are a few things this does for us. First, it makes our receiver quieter (less static). Secondly it prevents RF from building up on the station equipment and distorting our audio (So many CBers have this problem!). Have you every heard someone who’s audio would distort when they would talk? The number one cause of this is strong RF currents running on the radio chassis and mic (more power and the problem gets worse!). Also grounding stray RF energy cuts down on interference to TVs, Phones etc. 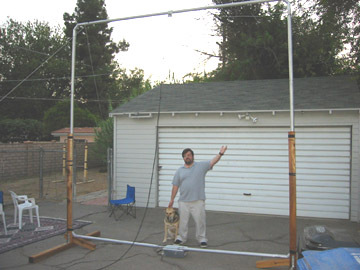 Plus, if you are using a vertical antenna (1/2,5/8 Wave) you can improve the performance by lowering the angle of radiation by using ground rods and radials running on the surface of the earth under your antenna. This is a total must if you are co-phasing verticals. Co-phasing or “stacking” has long been a way to get high gain from antennas. Co-phasing involves placing two (or more!) identical antennas either side-by-side or one over top another (“stacking”) at a certain distance apart (usually a 1/2 Wavelength or more) and feeding the antennas in-phase. The result is 3 db more than just a single antenna. In my opinion, this is the absolute way to go with beam antennas instead of going with say, 8 elements beams, it would be much better to go with co-phasing two 4 element beams. If you look at the gain figures for a 8 element beam, you see that you will end up with more gain if you co-phasing 4 elements instead. If you are considering co-phasing antennas for your mobile, better check out the “Mobile” section first. Circular Polarization is a relatively untalked about subject on 11 Meters, perhaps this is the first time you have ever heard of such a thing. Most antennas are oriented to produce linear polarization – either horizontal or vertical polarization. Sometimes, a creative CBer will turn their beam at a 45 degree angle, half-way in between horizontal and vertical polarization. This results in a signal that is weaker than if the owner would have oriented their antenna the same (polarization) as their neighbor’s antenna. This is still a “linear” polarization. “Omnidirectional” is generic term for an antenna that radiates equally well in all directions. There are several antennas that are considered omnidirectional. Most CB and HAM radio operators use coaxial (coax) cable to feed their antenna. Another name for the cable you use to hook your radio to your antenna is “feed line”. Feed line is a generic term for all types of cable including coax. Coax has been around for a long time and became very popular with Radio Amateurs after World War II, when army surplus stores were filled with miles of coax cable. This is one of them main reasons why we use coax today, it became such a trend of sorts. Coax cable consists of two concentric wires, as shown in figure 1. It is important to note that coax cable is unbalanced, no current flows on the outside shield of the cable. This is in comparison other types of feed line that are balanced such as twin-lead, which you may be familiar with from your old TV antenna. 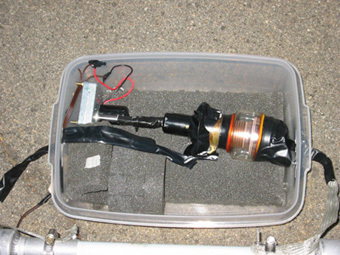 Figure 1 shows a close up of the end of coax, and its makeup. Figure 1 – Close up view of coax. An antenna is known as “directional” if its pattern strongly favors a certain direction. A directional works by concentrating the signal in one direction at the expense of other directions. Also known as the “Beam” antenna. After many requests by Ben W4KSY*, someone I consider to be my loop mentor, I decided to post a page about my 80 meter magnetic loop. The idea for this loop began with my purchase of a new vertical antenna. Now when you think of 26 feet of antenna, it doesn’t seem that large until you put it together. Now add a couple of 1/4 wavelength 80 meter radials, and the vertical antenna solution starts to get big. Now, I’m into efficiency, and I wanted to string four radials five feet above ground at 90 degrees, and set the whole system up in the best possible way. However, when I moved into my new house, I had the disturbing reality that I had many power lines running across my property and I also didn’t have close to the room for 1/4 wavelength or even 1/8 wavelength radials (even for 40 meters). So I figured I’d never get on the low bands and I’d have to live with 20 meters forever. Don’t get me wrong, I love 20 Meters. It’s no secret, I am a big fan of Force-12 antennas. I own a Force-12 C3SS triband beam, and can’t complain a bit about it. I call CQ on that antenna, and I get five people coming back to me almost every time. While I was at the ARRL conference last year I met Tom, N6BT one of the owners of Force-12, and picked up his book “Array of Light.” The book chronicles his experiences designing, building, and putting up thousands of antennas (yes, thousands!). It is a great book in my opinion, and a must read for those interested in understanding the ‘reality’ of antennas. As I went through the book I found a chapter on magnetic loop antennas and their high efficiency. The wheels in my head started turning, and I thought, I could manage putting up an 80 meter loop in my backyard. Maybe 80 meters isn’t out of my grasp. So I picked up the phone and called Tom at Force-12 and asked him what he thought. He told me sure, he’d be happy to build a loop for me but the capacitor arrangement and the loop support would be my problem. I agreed and after several emails back and forth and a couple of months (and dollars), I received a very large box on the door steps of my house. The box was filled with 2 inch 4 foot lengths of aluminum. Each piece was tapered at the end so it would fit into another piece with about 3 inches of overlap. Then a bolt was inserted between the connected pieces, and each section was completed. the corners had a similar tapering, and it took a whole 15 minutes to put it together by the garage. At first I used coaxial stubs for a capacitor. Tom suggested this strategy. You can cut coax and use it as a capacitor — take several different lengths of coaxial stubs equaling different amounts of capacitance, and move from band to band. I even loaded the loop onto 160 meters, but that’s another story for later. I built two wooden supports for the loop with my friend Steve, and we attached the loop into place. I was ready for 80 meter action. Great, I had the loop built, but getting it to match and work was a whole different story. I had read many articles by Ben W4KSY about loops, so I thought since I was having some problems I’d ask him via email what to do. Well he was kind enough to instruct me about how the feed system works (the one from Tom was too small), and how to re-work it and what to expect. We emailed a bunch of times and I finally got it where I wanted it, 3.863 at 1.1 VSWR with about 10 KHZ in either side of bandwith (remember, with loops you don’t want a whole lot of bandwith — but this was an acceptable range). With excitment that first night I turned on the rig to 3.863, and heard a bunch of guys in the bay area (from my QTH in Los Angeles). I popped my call in with 100 watts, and they came back first time around. I heard everyone in the round table, and everyone heard me. Night after night, QSO after QSO, 99% of the time, everyone hears me and I hear them. No problem. And this was during summer conditions. I worked many stations regularly from Oregon to mobiles in Wyoming, stations in Arizona, and others up and down the coast. Now when the propagation changes in early fall I am working stations farther out, Texas, Colorado, and Oklahoma. I am looking forward to winter conditions to give more reports. I eventually upgraded the capacitor to a Jennings vacuum variable 5-750 pf with a over 12KV rating (cost around 200 bucks), and fixed on a motor to drive the capacitor up and down the bands. The motor controller is in the shack and I use a pair of DPDT relays connected to momentary pushbuttons to pulse the motor onto frequency. It works like a champ. So, can you work 80 meters with a 12×12 loop 6 inches off the ground, yes! And you’ll have a blast doing it. For more technical explanations I plan on adding more info relating to large loops on the site, and will be happy to email. First, please excuse my artistic abilities. The diagrams are basic but show the rudiments of this excellent aerial, which is ideal for the newcomer to HF and those on a small budget as well as those with little space to erect large arrays! Please note that my calculations are worked out using feet and inches because that’s what I grew up with! The reader who understands the Metric System should have no difficulty in converting to Centimetres and Millimetres but this article will use Feet and Inches. Before outlining the construction, I would just add that when I was first licensed, I tried various aerials, verticals; inverted V’s, inverted L’s and wire dipoles. I finally gave this design a go. It was a brilliant success and I had a confirmed (QSL Card) contact with CE0ERY Hector on Easter Island on 30/04/1984 quickly followed by VK’s, ZL’s, and a string of exotic DX throughout the Indian and Pacific oceans. YES using this same design I am about to explain to you in the following paragraphs! You will need some wire…I have always found that old or new house wiring cable is an excellent source of wire but will need to be stripped from the grey outer insulation. The red and black pair of wires needs to be further stripped from their coverings. If you don’t fancy this task, it will still work, BUT it’s better to use naked copper wire for best results. Here’s how I strip wire in long lengths. First I use side cutters and cut into the wire from the end, trying to keep close to the bare earth wire that is in the centre of the cable and which runs along the length. Once I can get a grip on the end of this earth wire with a pair of long nose pliers, I twist a few turns around the nose of the pliers and gently pull. Soon there will be enough slack grey outer sleeve to allow it to be held in place with the feet standing on it firmly. I have also tied the end of the grey insulation (with red and black wires) to a door handle or vice handle. Once the thin earth wire starts to strip it usually comes easily as long as a steady firm pressure is applied and sudden jerks are avoided. When the thin wire has been removed from the entire length, having acted like a cheese cutting wire, the red and black should peel out without any bother.